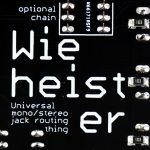 After few years of fight I finally finished my eurorack drum synthesizer. I was very proud of it, till my girlfriend asked: “Why there are empty spaces in your noisy box? You still don’t have enough modules?”. I laughed, made myself hot chocolate and started to cry in the corner. 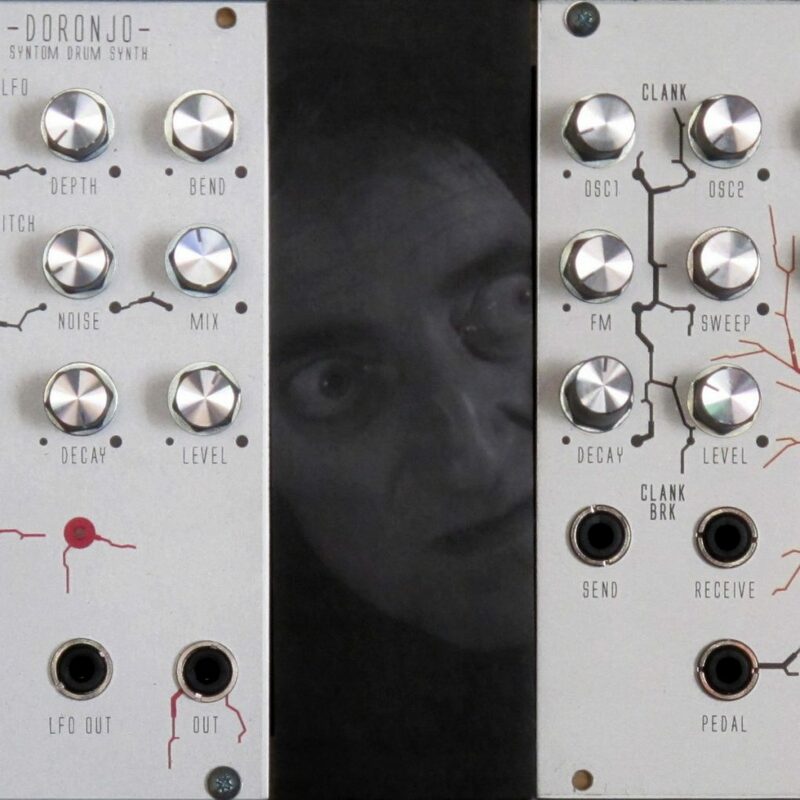 I was in a hurry that day, the synth meet was tomorrow, and empty holes of my system were staring at me like my girlfriends eyes. It was time for fast blanks. 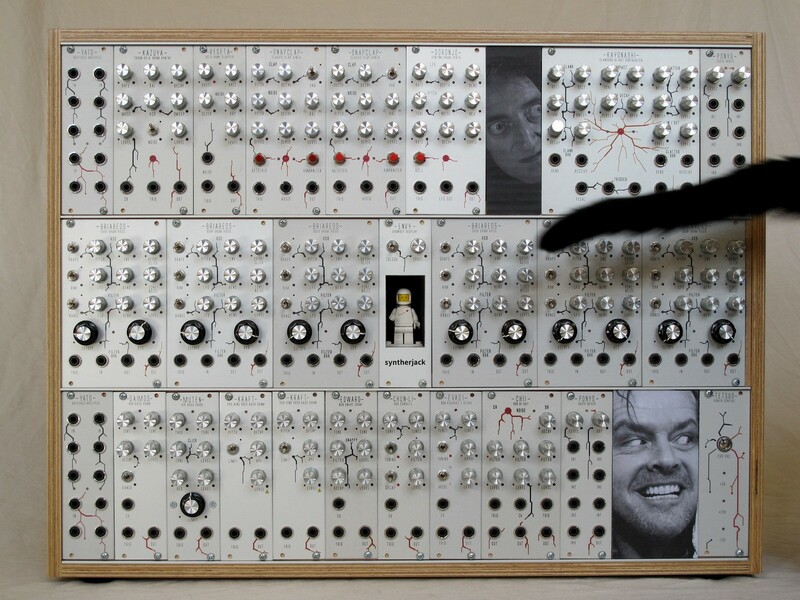 I remember I saw it somewhere – a Jack Nicholson panel. I grabbed a ruler and went stright to action, there was no time to think. 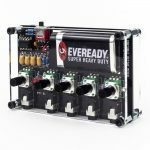 I’ve measured empty spaces in my eurorack – they were not exact 5,08 mm multiplication (the charm of DIY), so the standard, machined aluminum won’t work here anyway. Then I’ve cut the 3 mm thick cartoon, printed Jack in black/white (to fit color scheme of my system) and glued it. The dimentions are so tight, the panel holds itself without any screws. My girlfriend came back with coffee, took a peek at my work: “Jack from Shining? It is so obvious.” – she said in pure spite. The second one was her idea and worked out very well (and amusing). 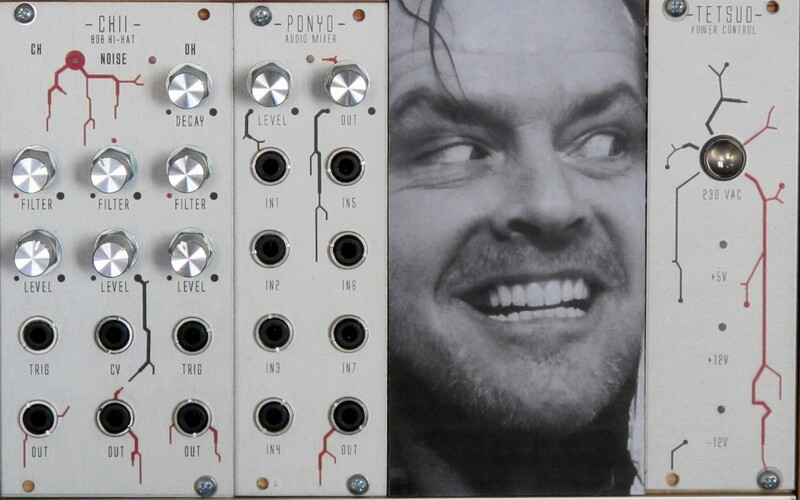 I made two “fast” eurorack blanks in total – ~12 HP with Jack Torrance (Jack Nicholson) from “The Shining” and ~8 HP with Igor (Marty Feldman) from “Young Frankenstein”. They cost me nothing axcept 15 minutes of work, which was mostly fun anyway. If one day I will get bored I can always make a new ones (99% chance with Mr T.). Next day I took my system to a synthmeet. Blanks looked unusual and served as a starting point to many (not always synth related) conversations. Many people just stopped and talked: “It’s Marty! I love him!”. Other just smiled. It turned out to be a really good idea (althought not mine). So, if your modular scares other people or your wife/girlfriend can’t look at it, make yourself a set of joyful blanks.